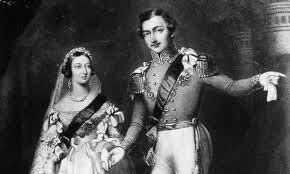 In the summer of 1887 as Queen Victoria approached the Golden Jubilee of her reign, she was overcome with feelings of loneliness. 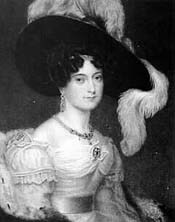 She had never stopped mourning for her beloved husband, Prince Albert, who had died in 1861, and had chosen to wear widow’s black all her life. As she looked ahead to the special occasion and the celebrations that loomed before her, the lonely Queen missed his presence more than ever. 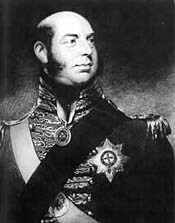 The government was doing everything they could to make a unique show to celebrate the Jubilee and suggested to Queen Victoria that they should invite some Indian princes, who with their colorful clothes and expensive jewelers provide the necessary glamour to the occasion. 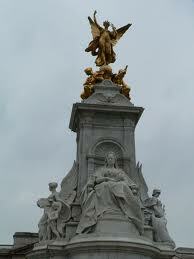 The Queen liked the idea and at her Jubilee, her Empire would sparkle before the world. She also suggested that it would be good to have some Indian servants around her, to help when the Indian princes as well. He arrived in England in June 1887, just three days before the start of the Jubilee celebrations. The Queen, then aged 68, had been a widow for 26 years. For a while, the empty space in her life left by the death of her beloved Albert in 1861, had been filled by John Brown who became her trusted companion. Their relationship was so close that there were rumours that they were lovers or had even secretly married and the Queen was dubbed ‘Mrs Brown’. 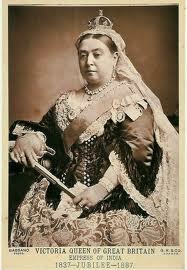 But Brown died in 1883, leaving the Queen devastated and lonely once more. “I sat alone! Oh! 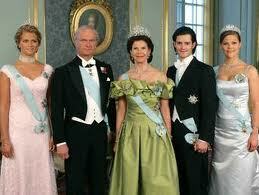 Without my beloved husband,” she wrote mournfully of the Jubilee thanksgiving service. On the 3rd day of the celebrations, the Queen was introduced to her present from India-the well dressed young servants, one stout and smiley, the other one tall and handsome. The two immediately began to wait at the Queen’s table and Karim became the favourite as he impressed her with his dignified bearing and assisting her with everything. 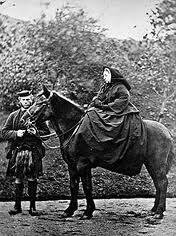 He was to become her closest companion for the last 13 years of her life, filling the void left by the death of her husband and, later, of her close friend, John Brown. One day Abdul Karim walked into the kitchen in Osborne House with the spice box that he had carried from India. He had decided to cook for the Queen. As the cooks stood amazed and watched, Karim was chopping, churning and grinding the masalas. The aroma of cloves, cinnamon, cardamom, cumin and nutmeg covered the room. Karim had prepared chicken curry, daal and a fragrant pilau. Soon after, Karim was stirring up exotic biryanis and dum pukht, dishes from the Mughal kitchen while Korma’s would simmer in the cast iron pots and ground almonds and cream laced the rich curries. For the first time in her life, Queen Victoria was introduced to the taste and smell of India. She described it as “excellent” and ordered the curries to be made regularly. 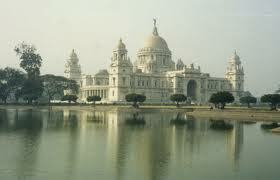 Karim from Agra charmed the Queen with his stories of India and even served the Queen her first curry. Always fascinated by India, her “Jewel in the Crown” and the country she ruled from thousands of miles away, the Queen chose Karim to learn about India. Soon he became her Urdu teacher, giving her lessons every evening. He read to her the poetry of Ghalib and she used to walk around with a phrase-book of Hindustani words. While Buksh remained waiting at tables, Karim was promoted and soon became noticeably close to the Queen. 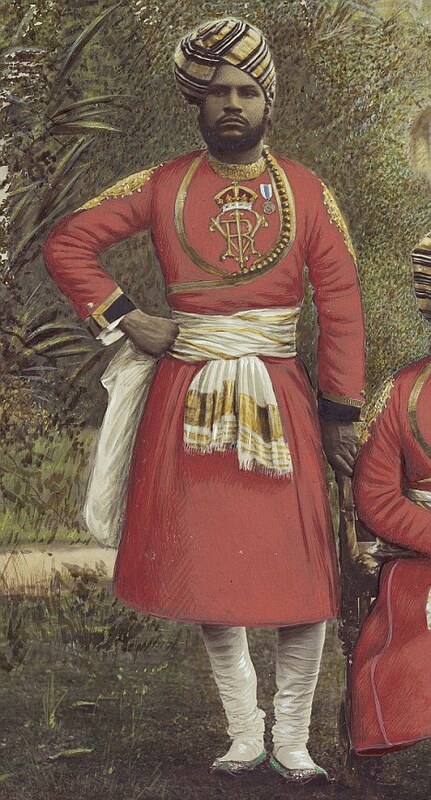 She tended to him personally if he fell ill and fussed about his comfort and well-being.Within a year, Karim was promoted as the Queen’s Indian Secretary and given the grand title of Munshi Hafiz Abdul Karim. She commissioned portraits of him to be painted by Rudolph Swoboda and Von Angeli, and all photos of him waiting at table was destroyed. 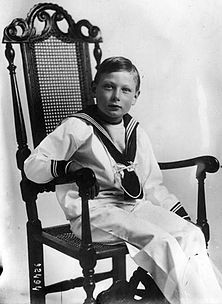 He was also given houses in Balmoral, Windsor and Osborne and allowed to use the billiard’s room with the other gentlemen of the Household. He accompanied her on her European holidays and soon the pair was inseparable. At every step the Queen honoured him with titles and medals and gave him the CIE and the MVO, one step away from a Knighthood. Even Karim’s father, Haji Wuzeeruddin, was given the title of Khan Bahadur and he became the first person to be allowed to smoke a hukkah (water-pipe) in Windsor Castle. 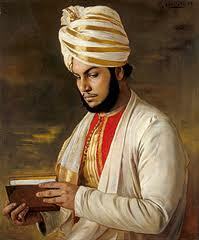 Karim as clever as he was, helped the Queen with her correspondence and advised her on Indian politics. 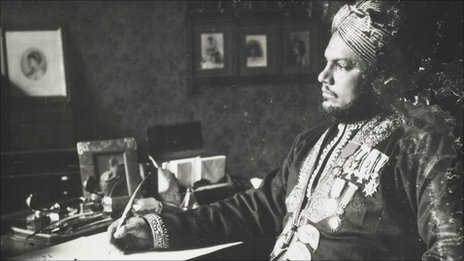 The Queen would often write to the Viceroy of India and demanding answers of some issues that were raised by Karim but it became more than the Household could bear. Once the Household threatened to resign collectively if the Queen took Karim on her European vacations, but the Queen in an instant rage swept everything she had on her desk on to the floor. Photos, files, ink-pots and boxes, everything fell on to the floor when the Queen heard about the threat. 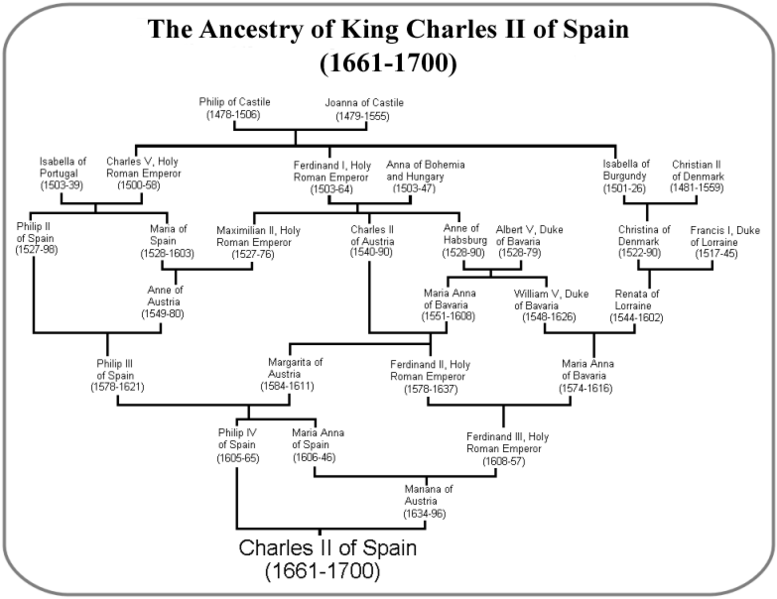 The Queen won the argument and Karim was accompanying the Queen to Europe and the Household did not resign but they didn’t stop plotting against Karim as they involved the Prince of Wales. No matter what the Queen heard about Karim, she would not accept anything and stood by him like a rock defending him to the last. 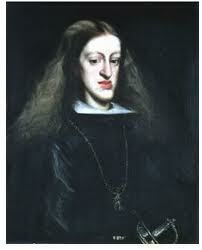 The close friendship created much rumours at the castle among the Household who would now gossip. When they continued to maligning Karim, the Queen announced them as racists and sent them message on how to behave. 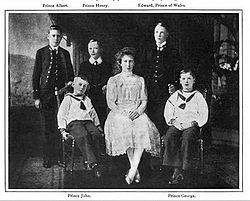 In frustration, the Household declared that the Queen wasn’t sane and threatened that the Prince of Wales would step in as people believed that she was losing her sanity. While the world watched the Jubilee with all its glory in 1897, the Palace was torn apart by intrigue, jealousy and threats to resign because of Karim. 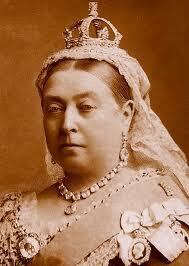 The 81 year old Victoria had died peacefully in her sleep in the year of 1901. 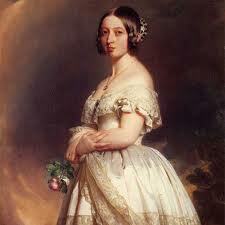 She was now dressed according to her wishes for the final journey to Windsor. The procession filed past her son and heir Edward VII and his wife Queen Alexandra together with the Queen’s children, grand children and with a collection of her most trusted servants and Household members. Each stood for a few minutes before the coffin to pay their respects. The King then allowed Karim to enter the Queen’s bedroom making him the last person to see her body alone as he knew about his mothers wishes. Karim entered the room with his head bowed dressed in a dark Indian tunic and turban. As he looked at the Queen’s face that was glowing from the lights of the candles, thoughts raced through his mind. Their first meeting in the summer of 1887, the lazy days they spent together as he taught her his language and described his country, the gossips they shared, her generosity towards him and her loneliness that he understood. He stood silently as he was fighting back the tears; his lips moved saying a silent prayer to Allah to rest her soul. After a final look at her, he left the room silently. Early one cold, February morning in 1901, the inhabitants of a cottage on the Windsor Castle estate were startled by a loud banging at the door. Tired and dazed, the head of the household, Abdul Karim, opened the front door to find a group of guards standing outside. 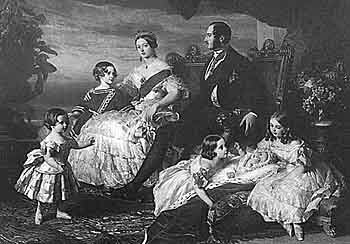 They were accompanied by Queen Alexandra, wife of the new king, Edward VII, and by Princess Beatrice, youngest daughter of the late Queen Victoria. 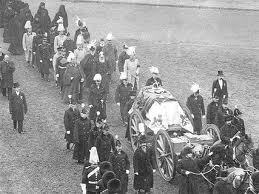 It was on King Edward’s orders that the house was raided only days before, Abdul Karim had been given a prominent place in Queen Victoria’s funeral procession which aroused the disgust of her family. 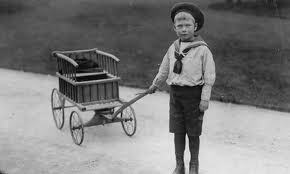 Now, much to his astonishment, the guards were ordering him to hand over every letter, note and memo that the late Queen had sent him over the 13 years he had served her. She had written him many letters, sometimes several a day and often signing them ‘Your affectionate Mother and Karim had treasured them. Now the new King wanted to destroy them. A bonfire was started outside the cottage and Karim watched in horror as the drawers were turned upside down. Abdul Karim, the man that the Queen had called her “dearest Munshi” (teacher) stood and watched in silence as every piece of paper bearing the Queens handwriting was thrown into the fire. All the answers lay in the letters that was cracking in the fire telling the story of a young man who had arrived to Britain 13 years ago as a waiter and had risen t become the Queen’s closest companion and was treated like a son rather than a servant. The Munshi and his family were then ordered to pack their bags and leave for India immediately. The fairy-tale had ended and 8 years later, Karim died heart-broken in Agra. He was only 46. Abdul Karim’s descendants left for Pakistan when the country was partitioned in 1947, leaving behind all the land and exquisite gifts given to Abdul Karim by Queen Victoria and other European royalty. Only a diary and a few memorabilia survived. 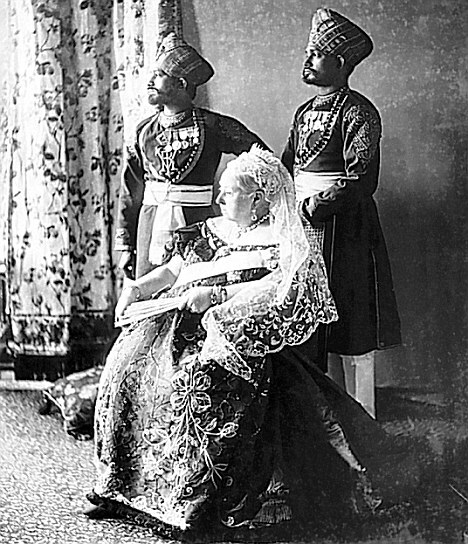 A lonely grave in Agra, some portraits in Osborne House, the Hindustani journals they wrote for 13 years, and a house that bears his name in Balmoral, are all that remain today of the Queen’s closes confidant. 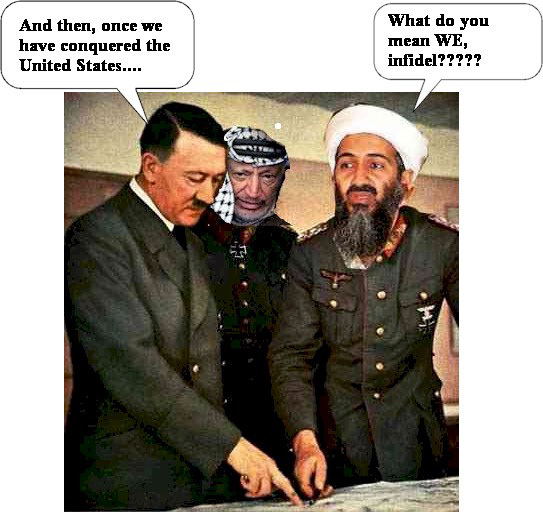 Yet the story would not manage to be erased from the history books.